Reyes Roofing Contractors, LLC is a certified roofing repair, replacement and installation expert in Centreville VA.
Reyes Roofing Contractors, LLC is ready to help with your roof installation, roof repair, and roof replacement needs in Centreville, VA. Reyes Roofing Contractors, LLC has built a reputation in the Centreville, VA area for providing dependable and high quality craftsmanship and customer service on all of our roofing projects – at affordable prices. 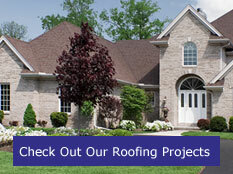 We can handle many types of residential roof repairs and installations, including Synthetic Shake, Metal Shingles, TPO system, EPDM system, Standing Seam Metal, Traditional Shingles, Architectural Shingles, Cedar Shake, Synthetic Slate, and Specialty Tile Roofs (Slate & Spanish Tile). We also provide high quality commercial roofing installation and repair including Standing Seam Metal, EPDM, Vinyl Slate, Modified Bitumen, Single-PlyTPO, Synthetic Shake, Torch Roofs, and Built-Up. 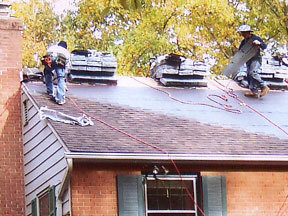 Centreville, VA customers can Contact the roofing experts at Reyes Roofing Contractors, LLC.